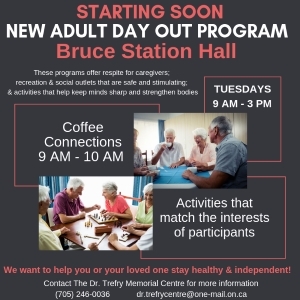 Since the only eating establishment in Desbarats closed over a year ago, area residents and employees miss having somewhere to grab lunch or meet for coffee. Local caterer, Cheryl Larrett has decided to do something about it. Donna stops by the cafe for her takeout order. 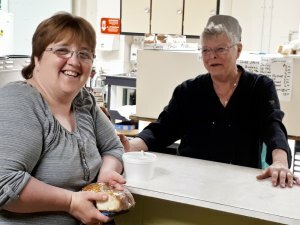 Cheryl ran the Desbarats Arena Canteen last winter and at the end of hockey season, she had several people asking her to stay open. 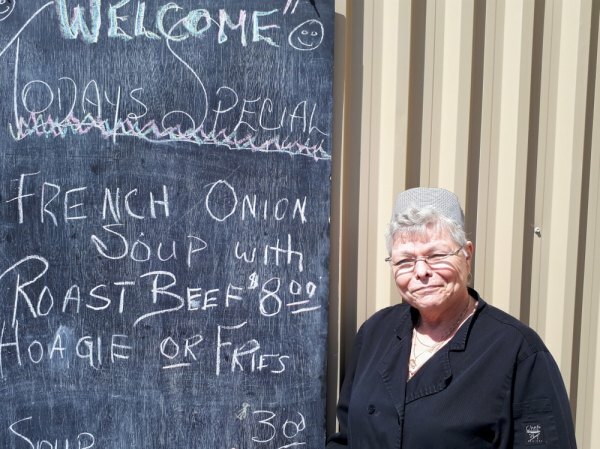 She planned on reopening in June for the Johnson Farmers' Market every Saturday, but decided in April she would open a cafe and offer her home cooking throughout the week. 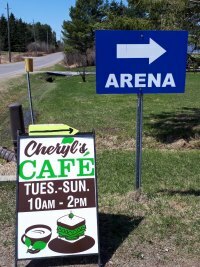 Cheryl's Cafe is now open inside the Desbarats Arena Tuesday through Sunday from 10am-2pm. For $6 you can get a daily breakfast special or $8 for the daily lunch, which includes a sandwich, soup or fries, and beverage (tax included). Baked goodies to go with coffee or tea are always available. The fresh cinnamon bun Cheryl let me sample was delicious. During my visit, there was a steady stream of traffic coming through the cafe, some staying for lunch and others popping in to pick up an order. 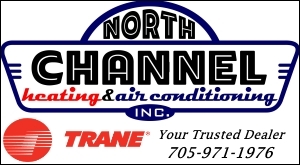 Takeout orders can be placed by calling 705-782-6723. Cheryl has heard rumours of another cafe opening nearby, sometime in the future, and she has no desire to compete with a new business trying to start up. Until then, she welcomes everyone to stop by the arena for a coffee or bite to eat.